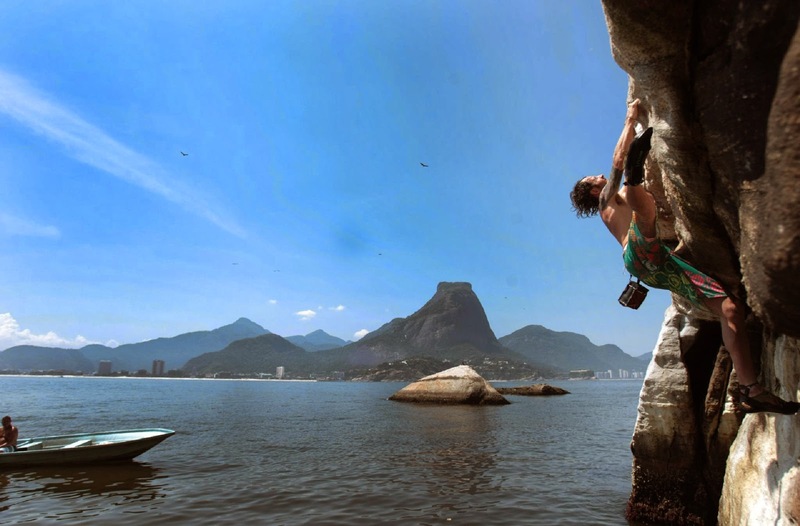 Climbers in the 80s and 90s, came from all over the world to visit some of Brazil’s classic climbing crags such as Furnas canyons and Cipó in the state of Minas Gerais Cipo and Vulture Rock (Pedra do Urubu) in Urca, Rio de Janeiro. After climbing, the general practice was to refresh themselves by heading out for a swim in the surrounding waterfalls, rivers or the ocean where they climbed around on the wet rocks just having fun. But at that time Brazilian climbers saw it only as a game and were enjoying playing and fooling around on the rock. After Klem Loskot´s appearance in the Big UP Productions film “Psicobloc“ which first aired on ClimbXMedia.com, the climbers of Brazil then recognised this activity as Psicobloc or Deep Water Soloing as it is commonly known as today. In 2006, motivated by this same video, Felipe Dallorto went to the lake that lies beneath Moutain Hime in the neighbourhood of Jacarepagua, city of Rio, where he opened up a number of DWS routes. He was familiar with the area and regularly climbed the mountains and sport crags, but only after acquiring knowledge of DWS that he then translated this onto the eighteen metre lake side cliffs in the area. Felipe kept the place to himself for almost three years when finally he gave the routes names and grades. 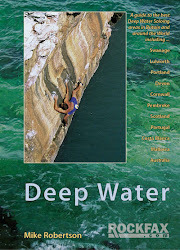 Word quickly spread of Deep Water Soloing in Brazil and became very popular with locals as well as visiting climbers from all over Brazil. The walls of this lake were formed by quarrying, which is unnatural, and to some unsightly, so Felipe set out to find a more natural spot for DWS in Brazil. With the images of Mallorca in his mind, he kept wondering if Brazil could have a place with such beauty as the Mediterranean island of Mallorca. 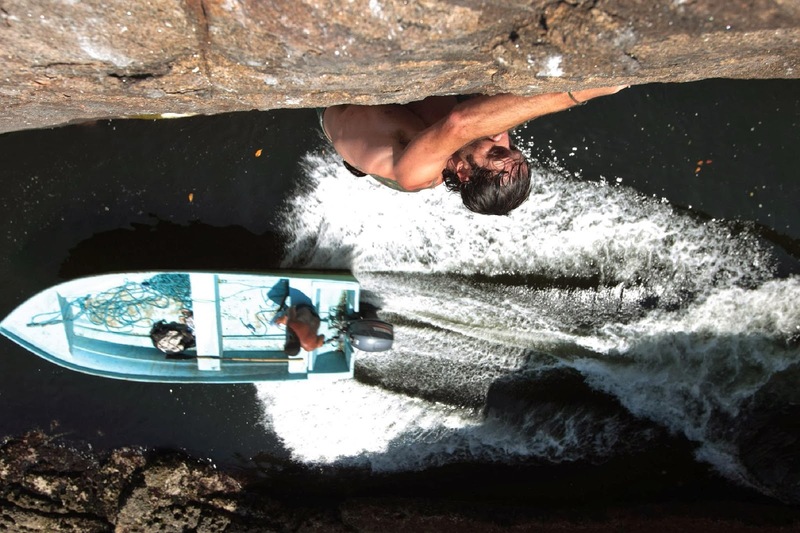 Felipe's expedition began in 2010, along with climber Flavia dos Anjos to seek out Brazil's next big soloing spots. Among the places they visited and conquered, Arraial do Cabo was found to simply be the Brazilian Mallorca with high walls and perfect crystal blue water. They proceeded to open several sectors with a great number of amazing lines, which was situated in a place of outstanding beauty. Following on from Arraial do Cabo the team traveled to the northeast of the country where they discovered that climbing was possible on the walls of the Carved Canyon (Cânion Talhado). The Canyon was perhaps the first place they had traveled to where major psychological issue arose concerning the size of the walls in the canyon. The sandstone walls, rise thirty metres into the air and to solo them would exceed the safety limit commonly accepted by the DWS community. The sandstone is also very brittle and a fall can come unexpectedly when holds snap. If something did happen then the nearest hospital is over four hour drive from this point! A climber called Felipe Alvarez (Kabeça) invited Felipe and Flavia to explore the Canyons of Furnas in Minas Gerais. The Canyons are once again situated in an area of outstanding natural beauty and in addition has an amazing waterfall. The only problem, in a DWS point of view, is that the top outs if done, are about eighty metres high. In order to solo here, the creation of high point markers were created of which a jump back down to the water was needed to complete the line. After the great explorations of Brazil Felipe and friends traveled to the deep water soloing mecca of Mallorca, having been invited by the Pou brothers Iker and Eneko. 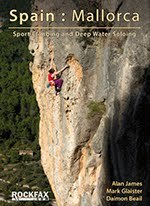 During their time in Mallorca they opened a new DWS sector at Cala Serena. On that occasion Felipe also had the pleasure of watching Chris Sharma in action, spoke to the Godfather of Mallorcan Psicobloc Miquel Rieira and also Daimon Beail Mallorca’s DWS Rockfax author, as well as a great number of climbers and supporters of the sport. After climbing and learning more about the sport in Spain, Felipe decided to return to Rio´s islands to continue on his Brazilian exploration. So far Brazil only had the quarry lakes, and Arrail which is a three hour drive away, in addition was Talhado Canyon and Furnas which were a much further distance to travel to. So they traveled to the islands of Tijucas, which is easily accessible, about 5 minutes by boat. They worked on two islands, the Pointed Island got a few lines established and many tries on a sector where certainly the most challenging projects will arise along with its cave sector and its futuristic cave. 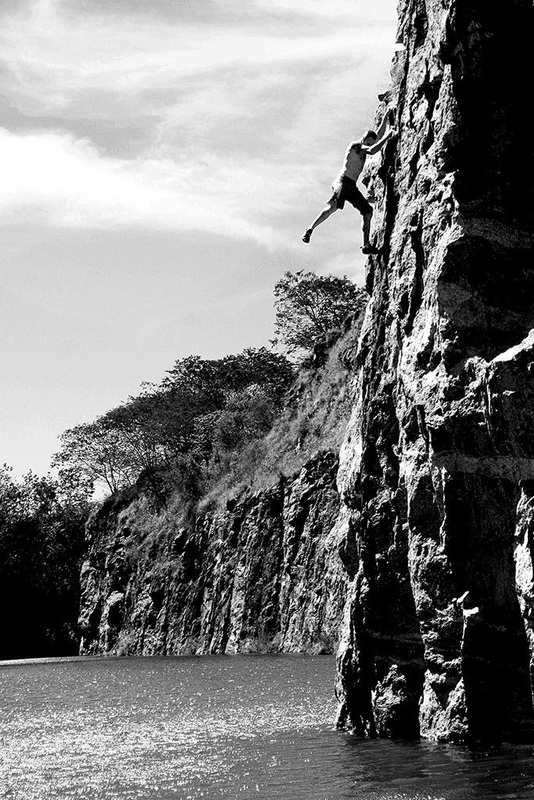 On Alfavaca Island there is a canyon perfect for beginners that doesn't lack good routes for top climbers either. The canyons are approximately seven metres high and offer an ideal scenario to learn falling and understanding how DWS works. 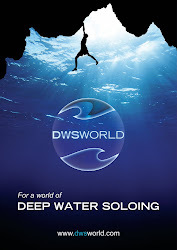 After six years studying and practicing Deep Water Soloing Felipe has seen and experienced the beauty of DWS. Every project he did was worked ground up. Each fall on the crux means repeating things all over again! Being equipment free allows them to gain a greater connection to the climb itself. Felipe believes DWS/ Psicobloc in Brazil has room for development. In Brazil there are thousands of kilometres of coast and rivers waiting to be explored and Felipe and Flavia dream about searching every centimetre. For those who have the opportunity to try DWS the advice would be to start slow, study your limits and respect the ethics of sport. Always check the bottom before entering and observe the conditions of the tide.